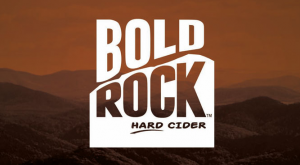 Bold Rock Hard Cider plans to break ground on a new $4 million cider-making operation on 10-acres of land just across the French Broad River from the Sierra Nevada’s new East Coast brewery in Mills River. The location is about 25 minutes south of Asheville, near the Asheville Regional Airport. John Washburn, co-founder of Bold Rock, said Wednesday that he’s working with a Hendersonville architect and a Hendersonville engineer on site plans for the new cidery, which will be built on a former corn field. The plan is to break ground in November and begin building a production facility and tasting room, said Washburn, to help his company meet strong demand. Bold Rock will be the latest addition to Western North Carolina’s booming craft beverage scene, which shows no sign of slowing down. New craft breweries are popping up in small towns around the mountains, while several of Asheville’s more-established craft brewers are either planning, or in the midst of, significant expansions. Cider-makers, sake-makers and distillers are also joining the party. Bold Rock is based near Charlottesville, Va., but Washburn said he’s a big fan of North Carolina. He grew in the Tar Heel state and said his family has owned a farm and store near Forest City, N.C., for 175 years. (He also fondly recalled taking his first swim ever in Lake Lure.) 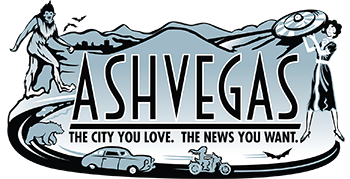 Washburn said Asheville’s growing reputation for craft beverages caught his attention, as did the willingness of local officials to work with him. “Mills River has an agricultural environment about it, and it’s near Asheville, which I knew was just the coolest place for craft beer, so it was very attractive to us,” Washburn said. Mills River and Henderson County officials were supportive and easy to work with, he said, adding that the owners of the Fletcher-based Budweiser of Asheville – Hubey Wood and his son Chad – were especially helpful. Hard cider is one of the hottest craft beverages after beer, and Western North Carolina is already home to a handful of cider makers. The Mills River location makes sense for Bold Rock because of its in Henderson County, which supplies about 65 percent of apples grown in North Carolina, which is ranked as the seventh-largest apple-producing state in the U.S.
Washburn said he expected to sell 8,000 cases of cider in the first six months of operation in 2012 after partnering up with internationally known cider expert and co-founder Brian Shanks. Instead, Bold Rock sold 46,000, he said. Bold Rock in Virginia today makes between 300,000 and 400,000 cases of hard cider, he said. The Bold Rock motto is “Be bold, tread lightly, make it happen,” said Washburn, and that’s exactly what’s happening in Mills River. The company was bold in opening during a recession; it treads lightly on the environment; and now the company is expanding, Washburn said. Special thanks to loyal reader Dusty for the heads-up on Bold Rock.